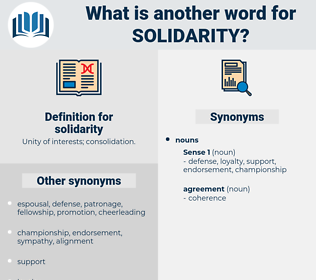 What is another word for solidarity? 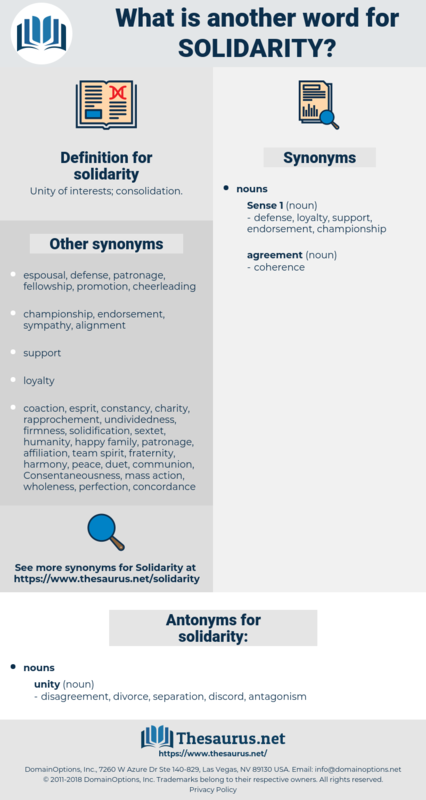 subsidiarity, cohesiveness, interdependence, empathy, uniting, affinity. sympathy, togetherness, compassion, unity, fellowship. The milk had streamed, and the corn now grew on all sides with overflowing energy, creating health and strength, bespeaking man's labor and the kindliness, the solidarity of the world. It taught women, irrespective of class and race, the value of solidarity.